If you are a music fan, I’m sure you remember a band that you instantly connected with; a band that as soon as you heard, you had to get your hands on as many of their recordings as you could. For me, Guapo is this band. Being an enormous Magma and Zeuhl fan, I found I had an instant affinity for their 2003 record, Five Suns, so much so that I tracked down its followup – Black Oni and their new record, History of the Visitation as quickly as I could. Guapo are a dark, instrumental Progressive rock band that draw influence from Magma and 1973-74 King Crimson, as well as the Rock in Opposition movement. 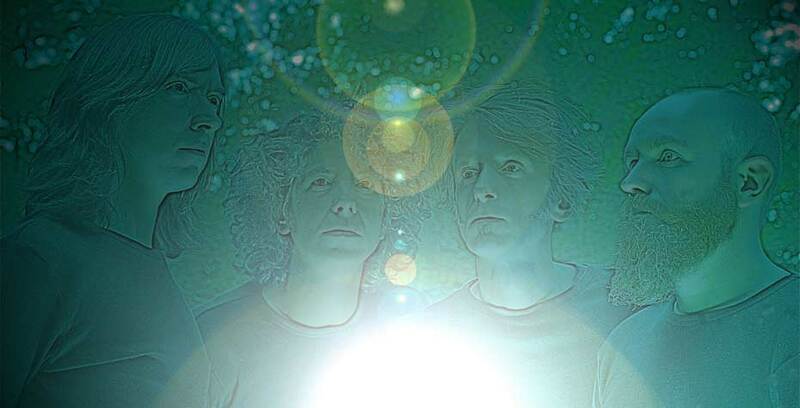 For most of their history, the band was a trio lead by drummer Dave J. Smith, bassist / guitarist Matt Thompson, and keyboardist / guitarist Daniel O’Sullivan, though they were joined live by guitarist Kavus Torabi (Knifeworld, Cardiacs). After releasing what is known as their trilogy of albums comprised of Five Suns, Black Oni (2004), and Elixirs (2008), Guapo disappeared for awhile, leading some fans to wonder if the band would ever return. 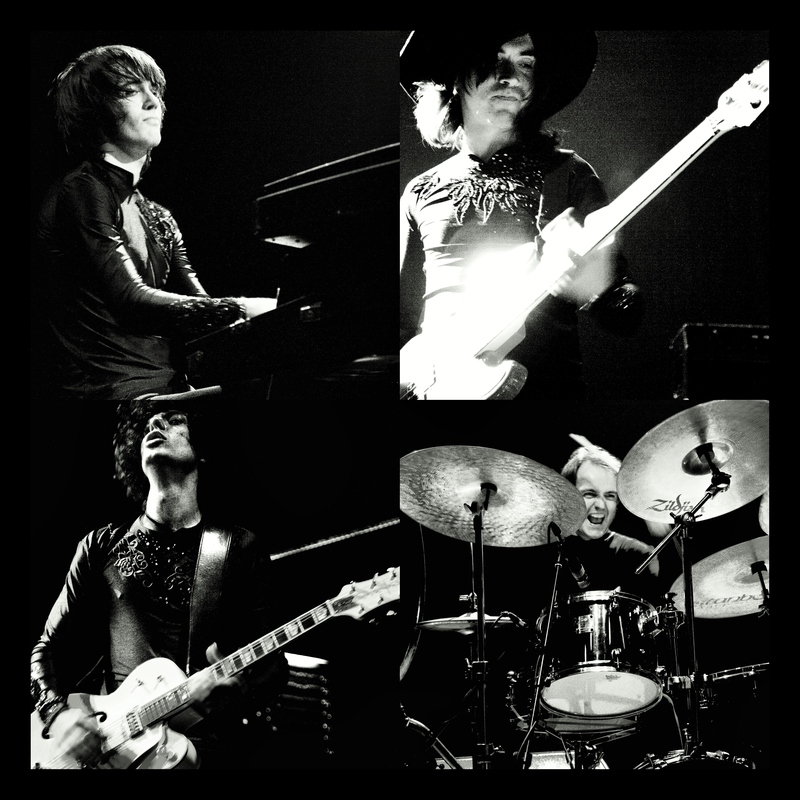 However, after an ‘upheaval’ in their lineup, resulting in the departure of keyboardist Daniel O’Sullivan, the band enlisted Emmet Elvin (Knifeworld, Chrome Hoof) as a replacement and guitarist Kavus Torabi (a full time member since 2005) joined the writing / recording sessions, marking the first time the full touring band appeared on a record. Released in January of 2013 through the always dependable Cuneiform Records, History of the Visitation is another quality record from Guapo that progresses their sound while staying true to their roots. “The Pilman Radiant” opens the record, a 25 minute track with multiple sections that take the listener on a mini journey. The first 5 minutes, subtitled ‘Visitation’, is a slow, spacey section that isn’t music in the strictest sense, but rather ominous sounds that wouldn’t be out of place in 2001: A Space Odyssey. Things begin to build momentum around the 5 minute mark with some trademark Guapo Fender Rhodes chords and bass / drum grooves and slowly build until around the 10 minute mark, when we are launched into some classic Guapo intensity, in a section entitled ‘The Divine Vessel,’ which is marked by a guitar riff that wouldn’t be out of place on a Robin Trower record! After another, short, spacey section entitled ‘Mosquito Mange’ and a reprise of ‘The Devine Vessel,’ “The Pillman Radiant” comes to a thrilling conclusion at slightly over the 26 minute mark and it seems over before it’s even begun. The subsections don’t overstay their welcome and are interesting enough to warrant several returns. Track 2, “Complex #7” is a return to the ambient, atmospheric side of the band with guest musicians providing minimal, breathy flute and clarinet tones. At 4:47, it is by far the shortest piece on the album and really provides an intermission for the two longer tracks. The next track, “Tremors from the Future” finds the band in full-on prog mode. At its core, “Tremors from the Future” is based entirely around a simple keyboard riff that pops in and out of the composition as it progresses. Clocking in at 11:15, it is a fairly short track by Guapo standards, but, is a fiendishly complex and wild ride with dazzling time signature changes and shifting moods, and a barn-burner in the fullest sense. To me, it is the 21st Century’s answer to “La Villa Strangiato” and in my humble opinion, fully capable of becoming prog’s new anthem. The end, however, is entirely new ground for the band, with sweeping, operatic strings and an edge-of-your-consciousness guitar solo leading to probably the band’s biggest finish yet. 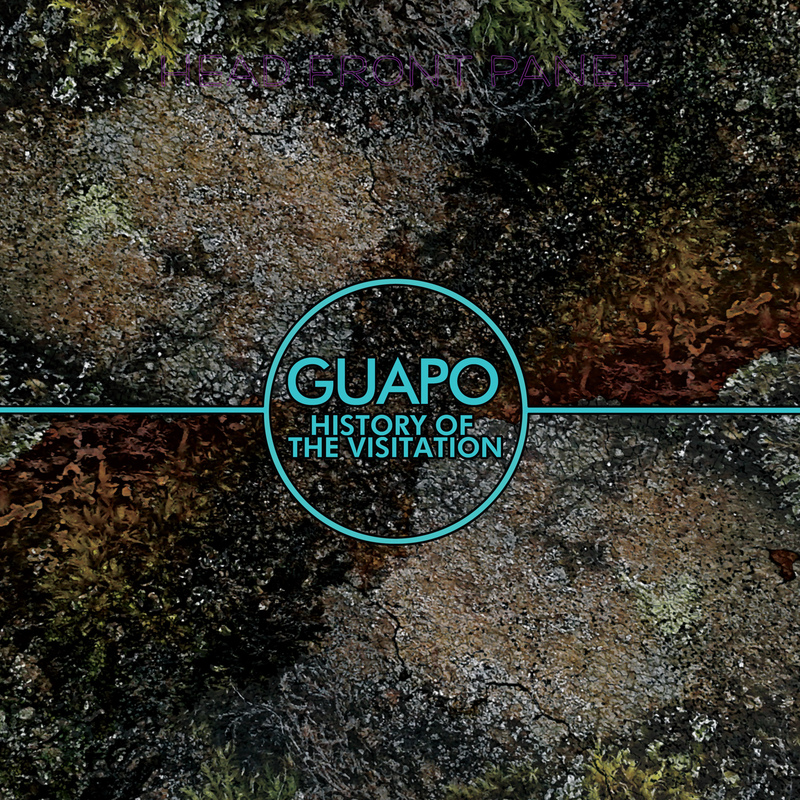 If the incredible new studio album wasn’t enough, Guapo’s History of the Visitation also comes with a nearly 50 minute DVD of the only official live footage available of the band. The majority of this disc is occupied by a stellar rendition of Five Suns, live at the 2006 edition of the North East Art Rock festival (NEARfest) in Bethlehem, PA. The piece captures Guapo at the height of their Zeuhl period, placing the emphasis on Sewards’ throbbing bass and Smith’s hypnotic drum grooves, which lock together in true Jannick Top / Christian Vander fashion. On top of this lie ex keys-man Daniel O’Sullivan’s jazzy Fender Rhodes and sweeping mellotron, and Torabi’s guitar, which walks the line between distorted heavy metal chords and screaming, expressive improvised lines. Throughout its 30 minute duration, Five Suns is marked by its crushing dissonance and repetitive sections that always pay off with enormous climaxes, making tension and relief the name of the game. Though shorter and a bit faster than the record, it is still a worthy addition to your collection if you already have the studio version, for the live energy alone. The video, appropriately shot in black in white, suits the moody, doomy music perfectly, but the sound is a little bit too muffled for my tastes. It is my understanding that Guapo will go down in infamy as being the loudest band to ever play NEARfest – an event held in a 1000 seat venue on a college campus – and you can feel how loud they must’ve been from the audio here, which does have a bit of distortion in places. The second video, a performance from the 2007 Rock in Opposition (RIO) Festival in Carmaux, France, features the same lineup as Five Suns and is a performance of “King Lindorm” from Elixirs (2008). Although I can’t compare this version to the studio version (I’m unfortunately missing Elixirs from my collection), it is a compelling 14 minute piece of avant garde-tinged prog. The video seems to be shot with a handheld camera, but the sound quality is absolutely magnificent, and you can pick out every nuance of the recording. This album is a bit more accessible than the others I’ve heard from Guapo, but that isn’t a bad thing by any means and I think this would appeal to any fan of instrumental progressive rock music. Also, I’d say that isn’t quite as oppressive as older records, making this album is a bit more fun to listen to, but that doesn’t mean that it doesn’t have its moments of unbridled dissonance and tension. The two sides of Guapo are certainly here: the slow, atmospheric side and the more driving, heavier side as well, but they feel more balanced on this album than before. Like most Guapo albums, this is still epic, intense music that requires your full attention, but this one feels almost filmic in its scope. As the entire touring lineup appears on this one, it also feels more like a band effort and more cohesive than their previous offerings; whereas the bass is typically the lead instrument, History of the Visitation allows each member of the band his own place in the compositions. This new record is also quite a bit more original than their older offerings; though I dearly love Five Suns, it admittedly draws heavily from Kohntarkosz – era Magma, but I find it difficult to compare History of the Visitation to anything I’ve ever heard before. Of the Guapo albums I own, this is clearly my favorite and with the addition of the Five Suns live DVD, this album is a must-have release for any serious Progressive Rock fan, and my pick for album of the year 2013 so far. This entry was posted in Uncategorized and tagged 2013, Daniel O'Sullivan, Dave J. Smith, Emmet Elvin, Five Suns, Guapo, History of the Visitation, Kavus Torabi, Matt Thompson, NEARfest, Rock in Opposition, Zeuhl. Bookmark the permalink.